Majestic artisan sterling silver model of a steed / horse. 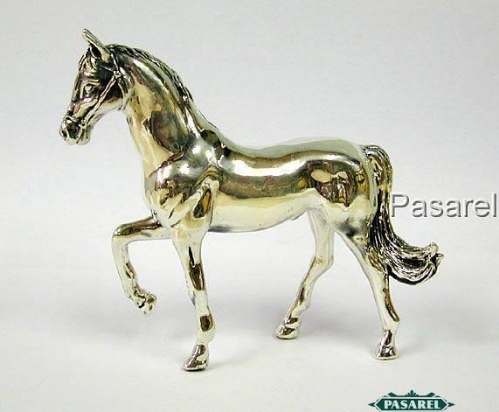 Beautifully executed as an highly detailed royal horse standing in an elegant posture with one leg in the air. This item was made in the electroforming method. A beautiful decorative piece that will surely highlight your display cabinet and make a wonderful addition to any silver collection. Height: 12cm. / 4.724in. Width: 14cm. / 5.512in. 114gr. / 3.665oz.